Tasted blind at the 2007 Bordeaux horizontal in Southwold. 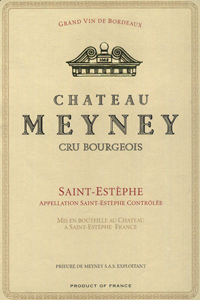 The Meyney 2007 has a tight earthy, minty bouquet with good definition, but tightly coiled at the moment. The palate is medium-bodied with good depth on the entry, although it does not quite have the complexity and breeding towards the dry finish. Tasted January 2011.